Learn latest trends in emerging technology related to electronic information gathering and how this new technology affects KYC and CDD/EDD information gathering and verification. This training will provide attendees with the latest guidance and information from financial regulators and FinCEN. In recent years the increased use of electronic means to obtain customer signatures, to conduct verification of customer information, and to conduct overall customer due diligence has posed problems for financial institutions to fully comply with KYC, CDD/EDD requirements. This webinar will discuss methods of using electronic means for these activities and will discuss up-to-date guidance provided by FinCEN and financial regulators in the use of electronic platforms for these processes. Staff and employees of financial institutions need to be aware of the latest trends in emerging technology related to electronic information gathering, the methods used and the risks associated with this type of information gathering. This presentation will allow attendees to obtain background information of how this new technology affects KYC and CDD/EDD information gathering and verification, it will explain to attendees how this new technology is constantly changing, and provide attendees with the latest guidance and information from financial regulators and FinCEN. Thomas E Nollner has more than 35 years of experience in financial institution supervision and consulting. Mr. Nollner spent 30 years as a National Bank Examiner for the Comptroller of the Currency where he was a safety and soundness examiner and a compliance examiner. As a safety and soundness examiner he examined national banks for capital adequacy, asset quality, management issues, earnings concerns, and liquidity funding. As a compliance examiner, he examined national banks for compliance with consumer laws and regulations such as the Truth-in-Lending Act, the Real Estate Settlement Procedures Act, the Flood Disaster Protection Act, the Community Reinvestment Act, and AML/CFT laws and regulations. 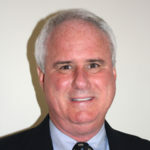 His specialty was as an AML/CFT examiner, where he analyzed a bank’s AML/CFT program to ensure that it complied with applicable banking laws, rules, and regulations; he reviewed the bank’s suspicious transactions identification, monitoring, and reporting process; he traced proceeds and transactions through several layers of activity; and, he reviewed a bank’s processes and procedures to determine root causes of AML/CFT program weaknesses. Mr. Nollner currently works as a consultant for the Office of Technical Assistance (OTA), a branch of the U.S. Treasury that assists developing countries with banking issues. Mr. Nollner is assigned to the Economic Crimes Team that focused on training, assisting, and mentoring the staffs of the financial regulatory departments and financial intelligence units of various countries regarding AML/CFT compliance. In this capacity, he worked in countries such as Afghanistan, Iraq, Turkmenistan, Viet Nam, Honduras, Guatemala, Guyana, Suriname, and Argentina developing AML/CFT examination procedures, providing AML/CFT training and mentoring, and updating local AML/CFT laws and regulations.